Choosing The Right Roof For Your Home | V. Guinta & Son Roofing Co. 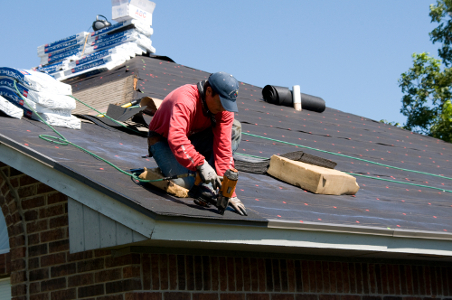 Homeowners understand that the roof of their home is of utmost importance. Without a good roof, their home is sure to sustain water damage as leaks develop. Choosing the right roof for your home and your climate will make a difference as to how well it performs over time and prevent excess roof repairs. The vast majority of residential homes have asphalt roofs; probably because asphalt is attractive and is more reasonably priced than other roofing materials. Other roofing materials include metal, plastic polymer, clay tiles, slate and wood. Plastic polymer roofing is molded to resemble slate or wood shakes. This roofing material is environmentally friendly, fairly lightweight, resistant to fire and wind, performs well for at least 50 years and the cost is considered moderate. Steel roofing is attractive and gaining in popularity. Most steel roofing is painted and has a lifespan of 30 to 50 years. Metal roofing is fire and wind resistant, so some insurance companies offer a reduced rate for metal roofed homes. 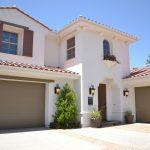 Clay tiles are often the choice of homeowners in the southwest. This roofing material will last more than 50 years, so it is thought to be worth the higher cost. Clay tiles are heavy so the supporting roof structures must be able to support the weight. Slate lasts 75 years or longer, but it is also very heavy. Some slate roofs have lasted longer than the buildings they protected, but slate roofs are more expensive than other types. Wood shakes are very attractive but more expensive than asphalt. They have a lifespan of 15 to 25 years, but are not fire resistant unless the roof is treated with a fire retardant.